Engine: 3.6-liter (3596 cc / 219.44 in³) boxer flat-six cylinder turbo 650 hp (478 kW) and torque of 656 lbs-ft (890 Nm) at 4500 rpm, maximum 7300 rpm. Featuring titanium connecting rods, three intercoolers, special turbo configuration, and a specially developed air intake system. This 2006 Gemballa can accelerate from 0 to 100 km/h or ~0-60 mph, with a 6-speed manual transmission, in just 3.5 seconds range. It can reach 0-200 km/h or ~0-120 mph in just 11.2 seconds. Top speed is 340 km/h (211 mph). The car also features a rear-wheel drive system. The 8 piston brake calipers and 380 mm drilled disks in this two door coupe make it stop very effectively. These brakes are attached to the 19 inches wheels in front and 20 inches in rear. 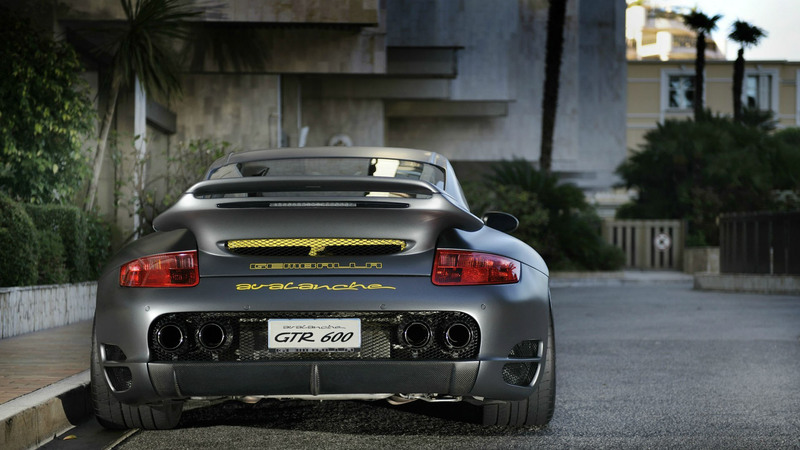 The body modifications and add-on components are made from carbon fiber on this Porsche. The fenders and sidewalls are made from metal. In the interior you can find Gemballa sport seats with a sport steering wheel and aluminum pedals. The seats are truly of a high quality and at the same time are very comfortable. The Gemballa has made some great tune for this car. The tune is based on a Porsche 997 Carrera. The car originally was priced at 300,000 USD ($). Not so shabby price for a car like this. The next-generation modern sports car like this deserves every dollar they ask for it. Great sporty looks and ridiculous amount of power in one combination together.